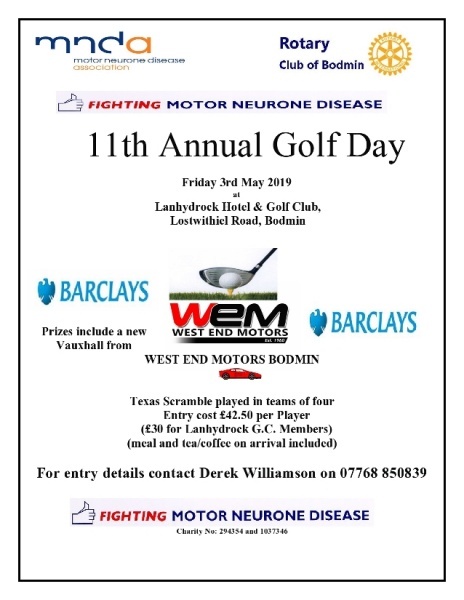 This Golfing Extravaganza is organised jointly by Bodmin Rotary Club and the Motor Neurons Disease Association (MNDA) to help sufferers in the Cornwall Branch Area. Main sponsors of this event are West End Motors (WEM), Barclays Bank and Mid Cornwall Brokers (MCB) together with many other local businesses and supporters. 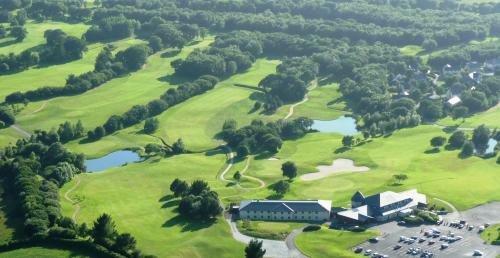 Places are available for 180 golfers to take part in teams of four, competing for an extensive list of over £3000 of prizes. Holes in One prizes include a new Car, Sunshine Holiday, Golfing Weekend and Golf Clubs. The event started 15 years ago as a modest Rotary Charity Day, but for the past 10 years has supported MNDA. Together with the tremendous enthusiasm and work by Derek Williamson of the MNDA Cornwall Branch the popularity of the event keeps growing.